Tamela Hastie is a movement educator, neuromuscular specialist and lifestyle coach. Her foundation is a lifetime of movement including a competitive gymnast, classical ballet, nursing degree, multi-video fitness lead, performer and talent coach. Tamela holds over 20 years of teaching and certifications in Yoga and Pilates. 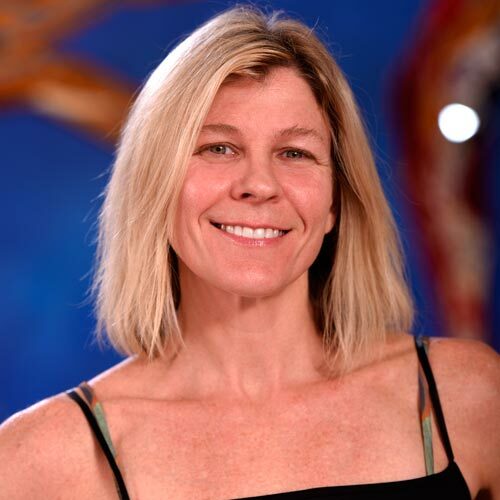 She is a 3rd generation Pilates instructor, 2nd generation Ashtanga Yoga instructor, certified aerial coach and is neurorehab certified specializing in MS, Parkinson’s and rehab. Tamela is the founder of Intuitive Movement and the Aerial strong program at the gym. She is available for everyBODY. With a vast array of knowledge and techniques, she can help you in a group or privately to achieve your goals – no matter what it may be – with a whole body approach to health wellness.